We are so happy to bring to you yet another edition of the Hoodoo Almanac. This particular issue is a Gazette, which simply means it lacks the monthly calendars of our normal Almanac. We did this intentionally in order to start 2014 off with a normal calendar year consistent with all the other almanacs of the world, going from January to December, as opposed to May to May as we had started. The Hoodoo Almanac 2014 has the monthly calendars along with all the other deliciousness that makes our Hoodoo Almanacs so unique. 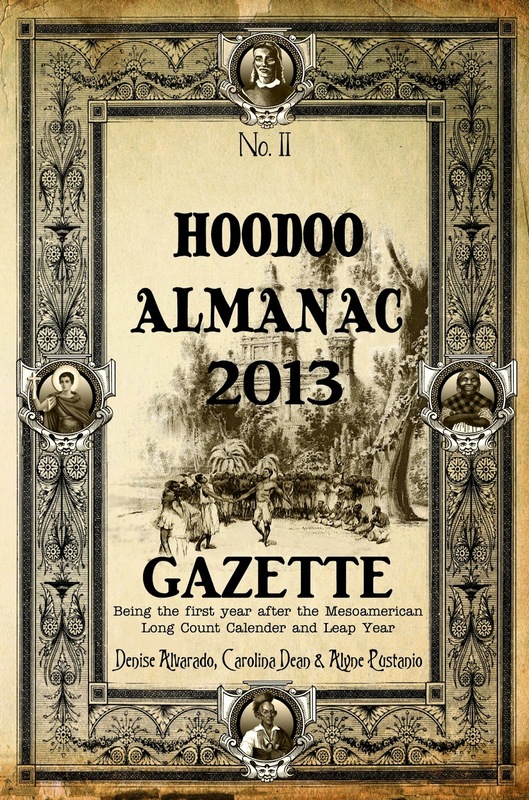 The Hoodoo Almanac 2013 Gazette contains an abundance of practical information, folklore, spells, rootwork, formulas, remedies, cures, Tarotscopes and a slew of lagniappe characteristic of all Hoodoo and Conjure publications. In the Hoodoo Almanac 2013 Gazette, we continue with our spotlight on various saints written by myself and Alyne Pustanio, both of us being confirmed Catholics with occult sensibilities. Our choices for the saints we highlight truly do not have any special rhyme or reason; we write about whoever seems to move us at the moment. Two of the saints highlighted are recognized by the Catholic Church: St. Joan of Arc and St. Hildegard of Bingen. If you are not familiar with either of these saintly women, we think you will find them to be fascinating women whose lives deserve celebration. The other two saints we spotlight are Latin American folk saints: San Simón and Jesús Malverde. I chose these two folk saints because they are prominent here in the Southwest where I now reside. Since living here, I have a new understanding of and appreciation for each of them. We provide suggestions for working with all four saints in the conjure tradition for those who feel inspired to do so. Our other major feature is our Notable People in Hoodoo History. In the first edition of the Hoodoo Almanac 2012, this was an extensive section that included many different people that were in some way, shape or form influential in the evolution of Hoodoo and New Orleans Voodoo. For the Hoodoo Almanac 2013 Gazette, Alyne has taken two of the individuals from our initial list and covered them in detail: Zora Neale Hurston and Mary Ellen Pleasant. These are two powerful women who did much to preserve and perpetuate the rich cultural traditions of Hoodoo and New Orleans Voodoo. As we hope will always be the case, this issue is designed to entertain, as well as, inform you. To this end, Carolina Dean’s Tarotscopes and Pop Culture Spotlight are sure to bring a smile to your face. In this issue, he highlights Granny from the Beverly Hillbillies™ and identifies many of her works that are consistent with actual Appalachian granny magic. He has also given us articles on broom magic, bottle spells, ancestor work, folklore and much more! 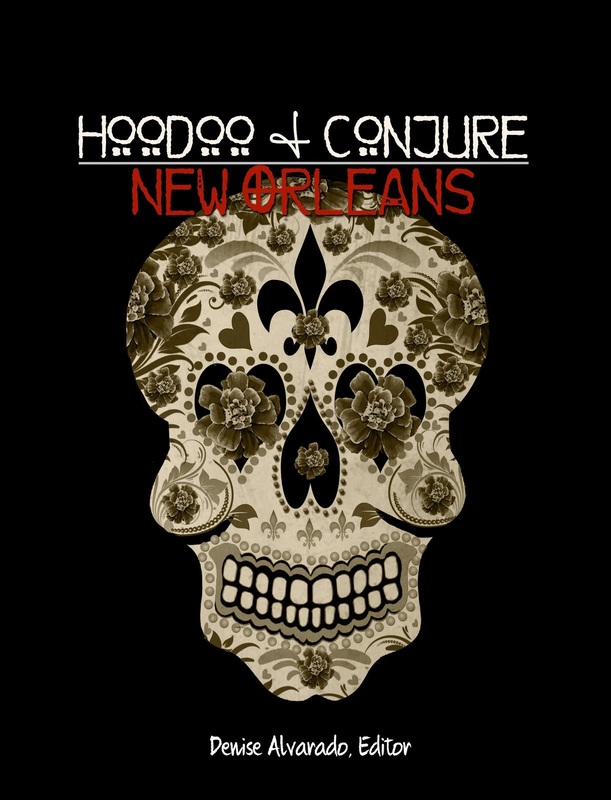 Consistent with Hoodoo Almanac 2012, we continue with aligning the 21st century with old-style Southern conjure. Throughout these pages we have provided links in the form of QR codes to free full texts, our free Gumbo Ya Ya ezine and other documents relevant to the subject matter contained within these pages. Consider it a virtual treasure hunt, magickal surprises await you throughout these pages so keep your eyes peeled for the codes! In fact we have jam packed so much information within these pages that we hope you will refer to it again and again. Grab a cup of coffee - or tea if you prefer - sink into your couch in your comfiest clothes, put on some blues music and enjoy reading the second edition of the Hoodoo Almanac in all its magical glory. That is, after all, how it was created!